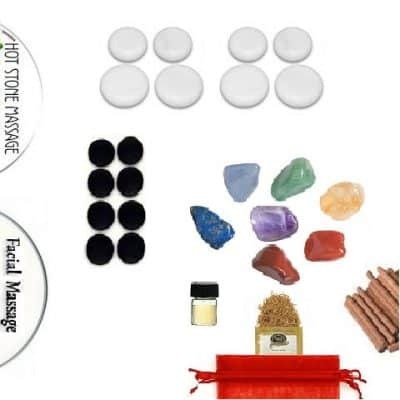 ~ An ocean of fun, this wonderful kit honors the Goddess of the Sea! 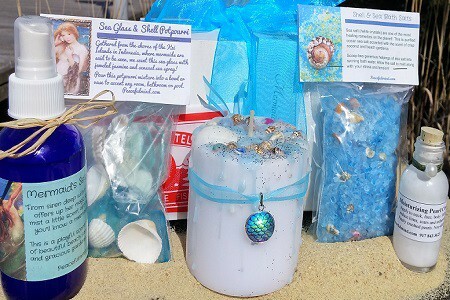 It is a treasure trove of our most beloved hand-made gifts dedicated to the “Siren of the Sea” All products are made with authentic pearls, 100% pure Angel’s Mist essential oils, pure wax and cotton wicks, sea salt, sea glass and real, hand-picked shells! 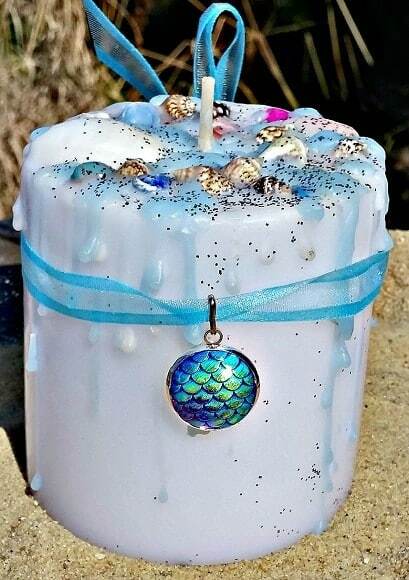 ~ Our 2 in 1 fragrant Sea Foam candle, (3″ x 3″)representing a wisp of sea air and gentle beach. Awashed in delicate sea shells, sea foam blue and white wax and entrusted with a beautiful, large “mermaid scale” charm pendant (16mm). This can come off the candle and worn with the ribbon, around the neck or added to a silver chain or black cord, as an eye catching necklace! 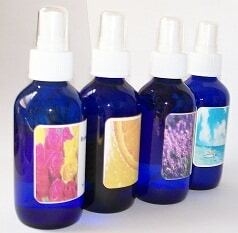 ~ Experience our 4 oz Mermaid’s Sea Myst! This sensational room fragrance or body spray captures the allure and mystery of our goddess of the sea. This is a playful scent combination of beautiful beach sandalwood and gracious gardenia. ~ Sea Glass & Shell Potpourri (2 oz) is gathered from the shores of the Kei Islands in Indonesia (where mermaids are said to be spotted). We scent this sea glass with jeweled jasmine flower and sensual sea spray! Pour this potpourri mixture into a bowl or vase to accent any room, brighten your bathroom or add to your pool. 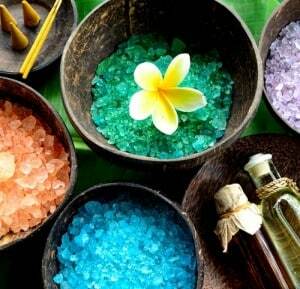 ~ Shell & Sea Bath Salts (2 oz) are one of the most healing remedies on the planet! This is purified ocean sea salt with a scent of crisp coconut and beach gardenia. Scoop two generous helpings of sea salt into running bath water. Allow the salt to dissolve, along with your stress and tension. 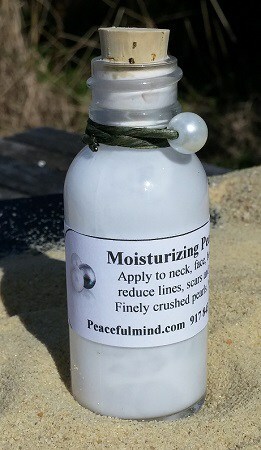 ~ Indulge in a sample of our Moisturizing Pearl Cream (1 oz). We make this from well selected, pure precious pearls, which are reduce into very fine powder. 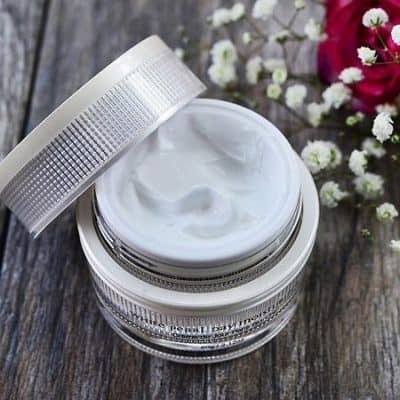 The pearl powder is then blended with rich moisturizing lotion, cooling Aloe Vera and soothing Vitamin E to give the skin a smooth layer of protection for the elements as well as the appropriate balance of both nutrients and moisture. Pearls are an excellent source of minerals, amino acids and calcium carbonate, the most absorbing form of calcium. ~ Finish your fun, with our Fortune Telling Fish. The “miracle fish” is placed in the palm of your hand, and in moments, will tell your fortune. Do it again and again. Share it with your friends!